NEW YORK (PRWEB) – The Portuguese Cork Association (APCOR) and the California-based Cork Quality Council (CQC), and its member companies – Portocork, Amorim Cork America, Scott Laboratories, M.A. Silva Corks USA, Lafitte Cork & Capsule, and Cork Supply USA – have made a combined donation of $70,000 to assist the victims of the 2017 North Bay wild fires. In addition, the CQC has pledged a donation of 200 cork oak trees to be planted in support of reforestation efforts. $70,000 in aid has been donated directly to the North Bay Fire Relief Fund, established by the Redwood Credit Union Community Fund, in partnership with Redwood Credit Union, the Press Democrat, and Senator Mike McGuire. 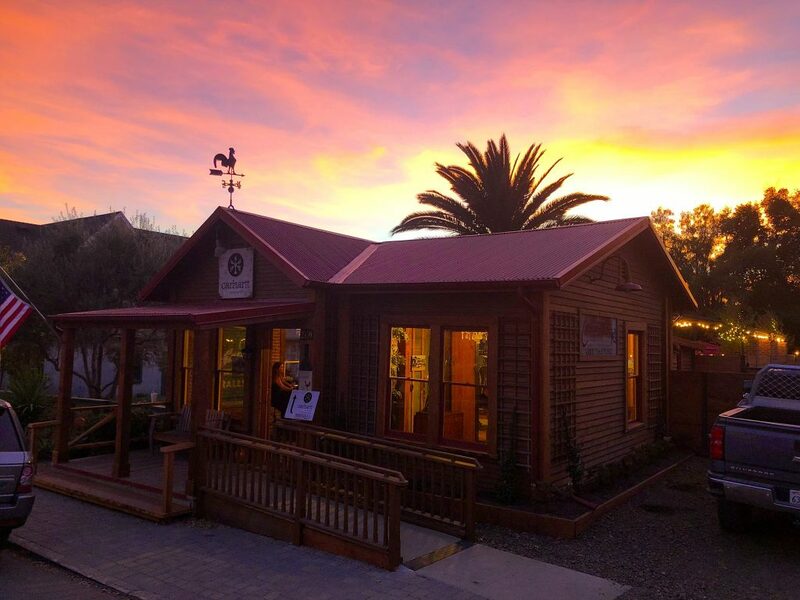 “The Napa Valley Community Foundation and the Redwood Credit Union are both providing direct aid to those in need,” says Peter Weber, Executive Director of the CQC. Along with the monetary donation, the CQC has pledged to plant 200 cork oaks in areas affected by the fires. For more information about APCOR, visit http://www.apcor.pt and http://www.100percentcork.org. You can follow APCOR on Facebook, Twitter or Instagram. For more information about the CQC, visit http://www.corkqc.com. For questions about APCOR, please contact Krisna Bharvani or Josh Zoland of Colangelo & Partners. The Portuguese Cork Association (APCOR) exists to promote natural cork and its products. APCOR is the employers’ association of the cork sector that represents, promotes and carries out research in the Portuguese cork industry. It was created in 1956 and is based in Santa Maria de Lamas, in the council of Santa Maria da Feira, at the heart of the cork industry around 30 kilometers from Porto, Portugal’s second largest city. Membership of the association is open to all companies operating in the fields of production, marketing or export of cork products. The organization advocates on behalf of the Portuguese cork industry worldwide and is the driving force of an industry based on tradition, innovation and sustainability. Based in Napa, California, the Cork Quality Council (CQC) is a nonprofit organization founded to promote education and improved quality assurance procedures for the wine and cork industries. The CQC is sponsored by select wine cork supplies, and its membership includes Portocork, Amorim Cork America, Scott Laboratories, M.A. Silva Corks USA, Lafitte Cork & Capsule, and Cork Supply USA. 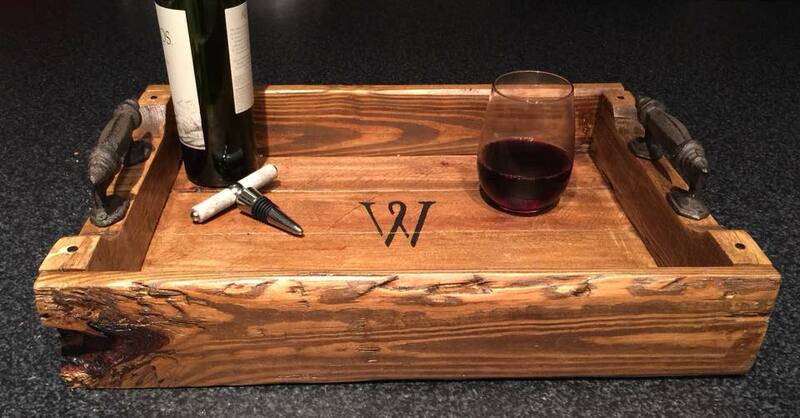 Custom Handcrafted Serving Trays: Give a unique one of kind gift this Holiday season with a custom, hand crafted, reclaimed serving tray. Approx. 14”x28” $65. Contact Michael at Barn Doors By O for design consultation. Honey Gift Boxes: Holiday gift boxes featuring honey and custom Carmel Honey Company logo items are now available from the company, which was founded by 14-year-old Carmel student Jake Reisdorf, who was 11 at the time. 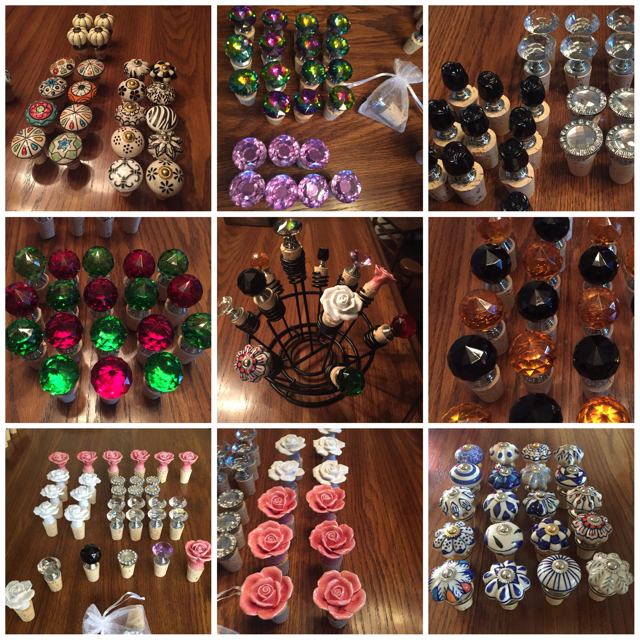 The gift boxes are available online or at the company’s store in Carmel. To keep myself busy while caring for my injured-yet-again spouse, satisfied more by angry single malt Scotch than the doctor prescribed Vicodin, I called Tanya Green, the new owner of Wine 661 to find out what new things they are offering the SCV wine drinking public, myself copiously included. Okay Tanya, I have been to this location before, when it was Wine Savor and now as Wine 661. Jeff Jacobson, chair of the SCV Wine Classic, suggested that I talk to you as he holds you in high regard as the new owner. 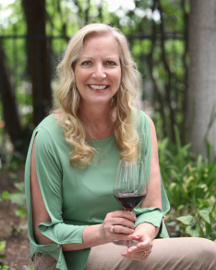 Want to tell West Ranch Beacon readers what your wine story is? 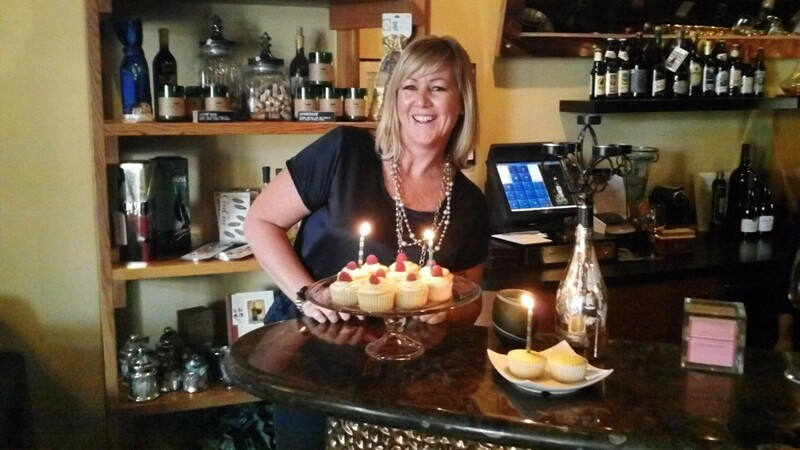 My “wine story” is pretty simple…I love wine so I bought a wine bar, but my passion for wine began by going tasting. I love listening to the experts explain how the grapes were grown and fermented; why I’ll taste certain things because of the composition of the soil, that fruit grown on mountain tops develops thicker skins because of its proximity to the sun and therefore has more character than thin-skinned grapes. I also have a strange fascination/respect for grapes that are difficult to grow, so those are the wines I’m most interested in. Everything about wine fascinates me from the farming of the grapes to the finished product, which makes owning a wine bar, like being a kid in a candy shop! I love it! I understand you are serving beers as well as wine; what are some of your customer’s favorites from both? To me, it was important to be able to carry something other than wine just in case a “beer guy” was dragged in by his wife. That’s why I spent months tasting beer from all over the world to put together, what I think, is the best beer list in town. Schonramer Gold, for example, is a German Pilsner that won “Best Beer in the World” for 13 straight years and had to be removed from the contest to allow another beer the opportunity to win. I’m proud to carry a beer that good, and, I personally have grown to love beer as much, if not more, than wine. My personal favorite is a cork-finished 750ml bottle of Belgian Farmhouse Ale called Saison Dupont. It’s gold and hoppy and has lots of personality. I pride myself on carrying beers that no one else carries and in most cases, beers that no one’s even heard of. This may be off-putting to Coors Light lovers but I don’t mind. I want adventurous drinkers in here. Those that know what they like but can get excited to try something new. Nothing excites me more than transforming a Coors Light drinker into a beer snob! What’s new now that you’ve taken over? Wine 661 was a great spot long before I took it over. The ambience is comfortable and cozy and in my opinion, the best in the Valley, but I can’t take credit for that. What I can take credit for, is a great appetizer list; including some amazing gourmet cheeses from all over the world (my fave is the five-year aged Gouda and the Spanish Blue cheese) as well as artisanal meats from near and far. I’ve also changed the beer and wine lists and am proud of both. I promise to always rotate my beer and wine inventory so that my regulars never get bored and to carry both inexpensive as well as high-end beer and wines. The most popular items on my menu are my cheese and chocolate flights. For the “Cheese Flight,” I’ve paired three red wines with gourmet cheeses that compliment them. Cave-aged blue cheese is paired with a phenomenal Merlot. The semi-hard, Manchego from Spain is paired with a complex and delicious Tempranillo and finally a 5 year aged Gouda is paired with a California Zinfandel. The “Chocolate Flight” is the same idea; three reds paired with three different E.Guittard chocolates with different cocoa contents. I think of it as delicious and fun. Your employee Kirsten is a delight. She poured us some very different water to go with our wine, what’s that about? Tell us what your customers can expect as far as service? I don’t think anyone can possibly care about their guests as much as the owner so I try to be here six days per week to ensure that everyone who walks through the door has a good experience. I like to have a good time and not take myself too seriously, and I think the service here reflects that. We’re pretty down to earth so people will always feel comfortable and at ease. We get to know our guests and over time we become like family with many of our regulars. I try to remember everyone’s name although I usually find it easier to remember their wine preference. The service here is personal and nowhere near stuffy. There is a certain sophistication that comes with serving and selling wine but this is a casual environment meant for a having a great time and good laugh! Well, now that now that your palate is whetted by the wine, beer and water at Wine 661, in the immortal words of Ferris Bueller, “Life moves pretty fast. You don’t stop and look around once in a while, you could miss it.” Now…go! NEW YORK, NY (PRWEB) – According to a recent survey conducted on behalf of APCOR – The Portuguese Cork Association, 89 percent of the world’s top wines as selected by Wine Spectator in 2016 are sealed with cork closures. Each year since 1988, Wine Spectator has released its Top 100 list, selecting the best wines from the thousands reviewed during the course of the year. According to the magazine, the criteria used to create this highly-regarded, annual list focus on quality, value, availability and excitement. The survey also revealed that 97 percent of the American wines selected were sealed with cork closures, while 98 percent of the wines chosen from Italy, Spain, Portugal, Greece, and Israel, were sealed with cork closures. 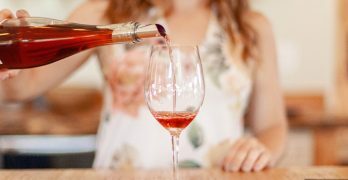 The information collected in this survey was conducted through individual phone calls and emails to the wineries, importers and distributors listed in Wine Spectator’s Top 100 List of 2016. For more information about APCOR, visit http://www.apcor.pt. You can follow APCOR on Facebook, Twitter or Instagram. For questions about APCOR, please contact Krisna Bharvani or Josh Zoland of Colangelo & Partners. The Portuguese Cork Association (APCOR) exist to promote natural cork and its products. APCOR is the employers’ association of the cork sector that represents, promotes and carries out research in the Portuguese cork industry. It was created in 1956 and is based in Santa Maria de Lamas, in the council of Santa Maria da Feira, at the heart of the cork industry around 30 kilometers from Porto, Portugal’s second largest city. Membership of the association is open to all companies operating in the fields of production, marketing or export of cork products. The organization advocates on behalf of the Portuguese cork industry worldwide and is the driving force of an industry based on tradition, innovation and sustainability. I recently dined at a restaurant that served wine and allowed BYOW (Bring Your Own Wine). The waitress took the bottle I had brought in, opened it up out of my view (guessing there is one corkscrew in the place) then returned with the bottle, and presto, the cork was removed right through the now ripped foil. I had no choice but to remove the jagged remains from the top of the bottle myself. Why they would serve wine this way I don’t know. It’s just plain ugly and the diner has to do the work. This is one a few people mentioned to me on Faceboook: Attending a catered party, complete with hired bartending services, and the bar ends up being low on basic supplies and the server is ill-trained. Holding the wine glass by the bowl instead of the stem is only appropriately called for if the wine is too cold and the aromas are closed off. (I’ve been known to cup a frosted glass – another pet peeve – of white wine as I can’t detect a damn thing when the wine is served icy cold.) The stem is there for a reason, please use it. It allows you to easily swirl your wine so you can enjoy its color and aromas. Anyone with the inability to handle a cork mishap hasn’t been trained properly. I’ve actually had to step in to rescue a broken cork from a bottle, or to wipe down the inside or outside of the neck of broken cork remnants. This is very common: not pouring a taste when you BYOW to a restaurant. Any bottle can be corked or deemed undrinkable. Why not show the courtesy, and if the bottle is not up to par, there you are ready to offer a suggestion for replacement. Seems like a no brainer to me. When I’m hosting a party or working a wine event I always taste the wines before serving. Please taste through your wines before subjecting a diner or guest to a pairing. Wine and cake is not my favorite pairing. Neither are cocktails and cookies. Like and like works with food: a good example is a big Cab with firm tannins will help break down fat in a big steak. But a sweet wine with an equally sweet dessert isn’t for everyone. Port alone or with a little chocolate is good, while a Sauterne is nice with a blue cheese, the rest you can keep to yourself. Bad glasses: if you really don’t like the glasses offered at a restaurant enough that it negatively changes your experience, bring your own. 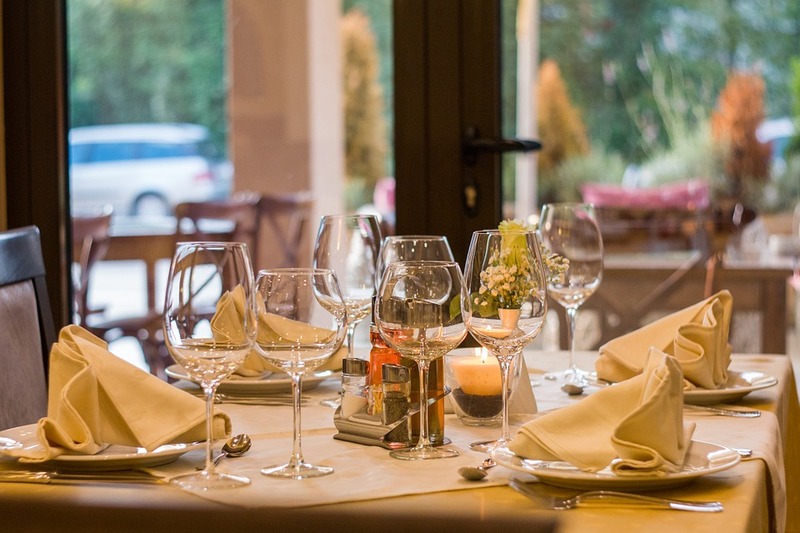 A restaurant may not carry the latest Riedel or crystal glasses for the sole reason that they are expensive, highly breakable and not the easiest to fit in their dishwasher. Get over it or pack up and bring in your own. If you serve wine in individual carafes please don’t empty the entire carafe into the wine glass. It’s not a show. Pour about two ounces, or up to the widest portion of the glass. Overfilling the wine glass won’t allow for swirling. Ignoring a drip: really? Come prepared with a cloth napkin nearby when you serve wine. The diner shouldn’t be responsible to wipe up a drip. Or, if left unnoticed, have their clothing stained. Over chilled white wines: I understand the majority of people like wine bucket service for their sparkling. It’s a nice show. But unless it’s 90+ degrees out I would rather discern the serving temperature myself of a white wine. If a white is served too cold aromas are shut down. This should be obvious but while guests watch a server opening a wine they will notice dirty fingernails. Please clean up before serving. Egads people. Not a biggie but the foil capsule is the bottle’s “dressing” and shouldn’t be completely removed. I’ve been told it’s easier for the staff, among other reasons, but it’s not supposed to be served that way and a wine person will only presume that you just don’t know any better. Many a time a bottle is presented and poured with the label hidden in the palm of a hand. Please turn the bottle around, holding with one hand by the back and the punt, and confirm it was the correct one ordered. The bottle should then be shown to all of the guests at the table if possible. This is fun to watch but not appropriate: holding the bottle between your knees or under your arm to retrieve the cork. If you simply can’t maneuver it, then place it on the table to help you balance the bottle while opening. This happened to me once in a very high-end restaurant: The waitress and I both watched as the sediment slid out of the bottle and into my glass. Really? Stop pouring and replace the wine. She didn’t. Snobs, I’ve touched on this one before but have since have to add: please be careful on social media. Your “expert’s rant” is subject to commentary so unless you know something to be a fact, and of value to others, keep it to yourself. Expressing an “elevated view” of wine makes you look like a snob, some of your followers may feel like veritable idiots and is a complete disservice to the wine community. This video from Wine and Spirit Education Trust (WSET) on opening wine is valuable, and if you want more there are four in the series you can watch here. 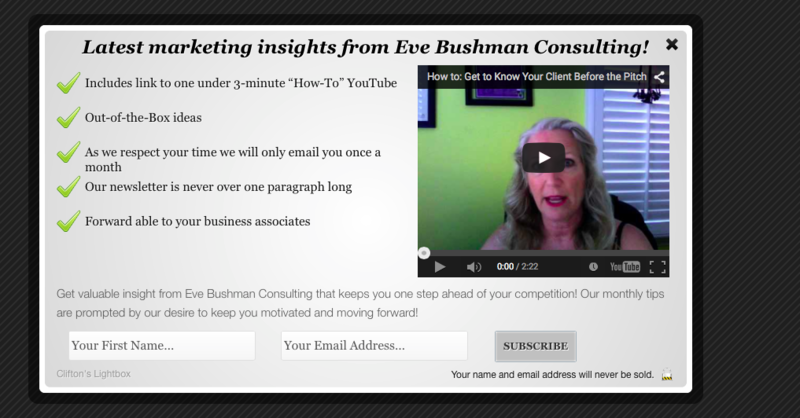 … and all your questions! A Hands-On Wine Making Class will be offered for both small and large batches. 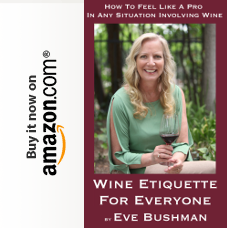 This will be discussed prior to or during class, with a commitment from those interested in applying what they’ve learned to their own 6 gallons of wine. Several varietals are offered for purchase in 100 lb increments (6 gallons of wine) at time of annual harvest (most often August through September +/-). Orders for grapes must be placed in advance. All of this is discussed during the four class Wine Making Session. 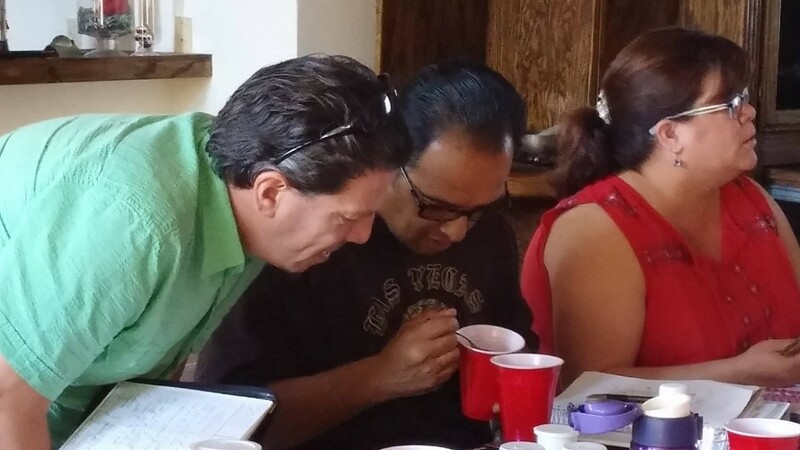 We will offer the classes as many times a year as we gather a group of at least 10 people. Possibly doing 4 to 5 sessions per year. Once you’ve signed up, you either go straight through the sessions, based on when they are scheduled or you can do two classes now, then have to leave town or whatever is going on, then do the 2nd two next session. You can refresh or retake classes any time you like. An exam is administered after the 4 sessions, in order to receive a certificate of completion. Once the 4 sessions are complete, they are also invited to join the World Wine Cellar Rats Facebook page, where a community of wine makers are sharing on all levels, regarding their wine making experiences, past, present and future; as well as wine making equipment for sale, new wineries they’ve experienced, tasting bars, etc. We also host a Cellar Rats Gathering for people who have taken the class. Those that make wine bring their wine to share, regardless how far along it is. As an example, we’re hosting our first gathering this month, so 2015 wine makers will bring their wines for blind tasting and discussion. New wine makers, just finished the class will also be present. It’s a learning opportunity for all, as well as a nice social gathering. New wine makers will bring a bottle of wine close to what they would like to make, nibbles are brought and we sip, share and discuss wine making, tips, tricks and fun stuff. 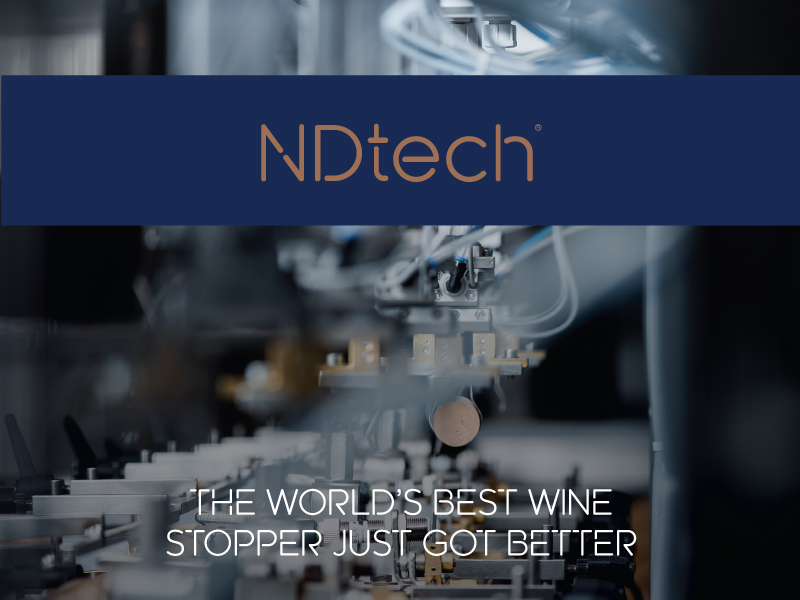 Known as NDtech, the cutting-edge technology greatly enhances Amorim’s quality control measures by screening individual cork stoppers on the production line to eliminate the risk of corks contaminated with 2,4,6-trichloroanisole (TCA) reaching winemakers. “Until now, no cork producer has been able to engage independent, scientific validation for a quality control system for natural cork stoppers that screens corks individually,” said Amorim’s research and development director Dr. Miguel Cabral. Two of the world’s leading wine industry research facilities — Germany’s Hochschule Geisenheim and The Australian Wine Research Institute (AWRI) — are currently engaged in the validation of the performance of NDtech. “The fact that Amorim’s NDtech is the only individual cork screening technology to engage in validation from both Geisenheim and the AWRI underlines the magnitude of this Amorim technological breakthrough,” said Cabral. Previously, gas chromatography examination took up to 14 minutes, making it impossible to use on production lines. Instead, Amorim applied the technology in laboratory-controlled batch testing as part of its quality control measures for the 4.2 billion corks it produces each year — and at the same time worked to improve the technology so it could be used in production. The development of the super-fast NDtech follows a five-year, approximately $10 million research and development investment by Amorim and a partnership with a British company specializing in gas chromatography. With incredibly high precision, NDtech can detect any cork with more than 0.5 nanograms of TCA per liter (parts per trillion). These corks are removed from the production line automatically. The level of precision necessary to meet this standard on an industrial scale for the individual corks examined is astounding, especially given that the detection threshold of 0.5 nanograms/liter can be the equivalent of one drop of water in 800 Olympic-size swimming pools. NDtech is complemented by Amorim’s existing preventive, curative and quality control measures, including the patented ROSA Evolution treatment used during production. As the world’s leading cork producer, Amorim has stood at the forefront of the fight against TCA — a naturally forming chemical compound that is a problem in the packaged food and beverage industries — through the application of rigorous production standards and certified quality control methods. 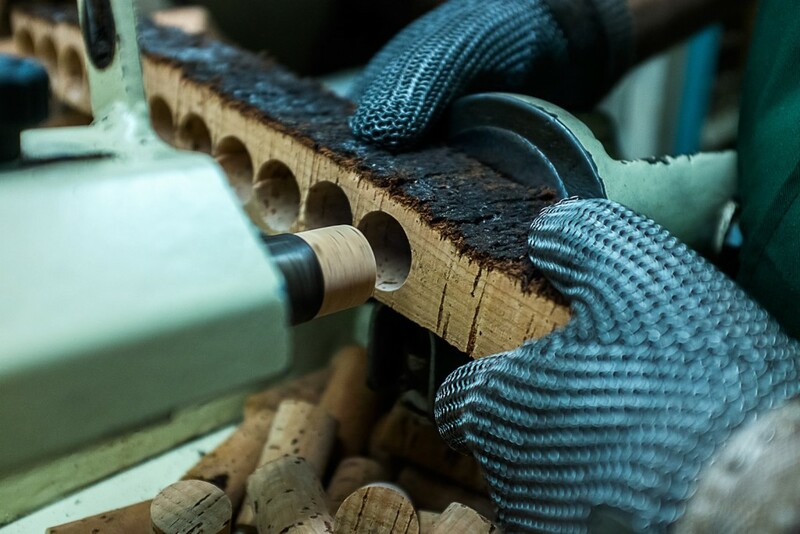 “Amorim has experienced phenomenal growth in demand for natural cork stoppers over the past five years with annual sales increasing from three billion cork stoppers to more than four billion,” said Amorim’s chairman and CEO António Amorim. NDtech will initially be applied to Amorim’s top-end natural cork stoppers used on some of the world’s most valuable wine brands. U.S. wineries are among the first to utilize natural cork stoppers that have undergone NDtech screening. “The initial response from U.S. winemakers has been as positive as we had anticipated, especially given the important role that premium wine packaging has in a market as sophisticated as the United States,” said Amorim Cork America’s general manager Pedro Fernandes. This groundbreaking technology presents U.S. winemakers with an opportunity to harness the unique benefits of sustainable natural cork knowing that Amorim has examined and guarantees each individual stopper. *A non-detectable TCA guarantee means that if any TCA remains in a cork it is below the detection threshold of 0.5 nanograms/litre. Tracing its roots back to the 19th century, Amorim (www.amorimcork.com/en/) is the largest producer and supplier of cork stoppers worldwide with sales of more than $680 million (€605 million). Amorim sells to over 15,000 active clients in 82 countries, including some of the world’s most renowned wine, Champagne, and spirits producers. With an annual production of more than four billion cork stoppers, it is evident that Amorim is well-equipped to meet the high performance demands of the industry. Additionally, Amorim and its subsidiaries are an integral part of a conservationist effort to guarantee the survival of hundreds of thousands of cork trees throughout the Mediterranean Basin.